Ever since the dawn of cloud computing in the early 2000s, many in the IT industry have questioned the role of the mainframe in the digital world. As companies look to new technologies, many believe cloud computing should replace the mainframe at the heart of business. But cloud computing has not taken over. In fact, businesses are once again becoming more reliant on mainframes to manage their mission-critical processes. Despite predictions to the contrary, businesses across the world have come to realize that the mainframe is still very much alive. There are a number of reasons for this, but one key factor has been the development of techniques that allow companies to use both the cloud and the mainframe together in unison. With a little help from modern technology, it is possible to get the best out of both systems rather than treating them as opponents of one another. Organizations are often drawn to the cloud for its promises of flexibility and accessibility. Since up-front costs are often lower when investing in third-party cloud computing services than when buying new hardware, the cloud has obvious financial benefits. This is particularly useful for newer start-ups which lack any existing in-house infrastructure. And cloud computing has its perks for larger organizations, too. Since cloud-based programs can be accessed from anywhere, it is easier to promote collaboration across a business, regardless of where employees are located. With these promises already making it easier for businesses to flexibly manage their IT, keep it up to date and support effective mobile and remote working, it's no wonder they are choosing to use the cloud. For those with existing systems, however, it is usually inadvisable to move data to the cloud if it's already on a mainframe. Without a proper investment of funds and time, this can be a risky process and incur significant costs if done incorrectly. Fortunately, large businesses can still reap the benefits of cloud computing without relying on this procedure; for example, through using APIs to link data from the mainframe to a cloud-based CRM or payments system, the cloud could still be used to power their loyalty programmes, or personal marketing strategies. Rip and replace - why choose? 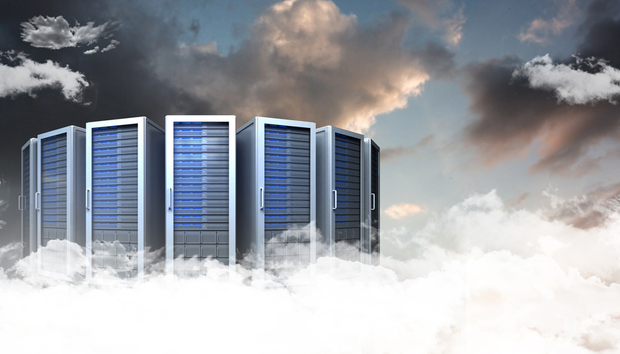 Cost is not the only reason why companies typically avoid full migrations to the cloud. Mainframes typically offer the same levels of power and scalability, if not better, processing millions of transactions each day. The most recent IBM z14 models can process as many as twelve billion transactions in that time while keeping all data heavily encrypted. Indeed, in-house mainframes are still seen as a more secure system, partly owing to the fact that no third-party cloud provider can fully guarantee that its systems will not be breached. While many companies recognize migrating from their mainframes to the cloud is not a practical option, they are still keen to realize the benefits of the cloud. Modernizing existing mainframes provides part of the answer, delivering significant improvements to IT infrastructure at a lower cost than a change of system. Some IT teams assume that modernizing the mainframe means ignoring the cloud altogether, however - either you have the mainframe, or a third-party cloud server. This is simply no longer the case. Ultimately, the mainframe and the cloud are not the same, with certain workloads being better suited to each system. Rather than using one or the other, businesses can - and should - find ways to incorporate both into their IT infrastructure, rather than either ripping out their existing systems or ignoring the cloud altogether. Mainframes specialize in completing huge tasks, such as managing complex customer databases for an insurance company, or the credit card transactions of a bank. Cloud systems can potentially be used to fulfil tasks that mainframes are less suited to, such as number crunching tasks which may not use a lot of data. Indeed, businesses are increasingly choosing to use the two systems in tandem, rather than depending on one service over the other for their digital operations. Many aspects of this hybrid model have been made possible through modernizing existing mainframes and outfitting them with new technology. For instance, if an application or programme can be more efficiently sourced from the cloud, it can be connected to mainframe data and apps through the use of Application Programming Interfaces (APIs). This can be done while keeping mission-critical transaction processing on-premises, ensuring a higher level of security and dependability. Another option is to use a cloud-enabled mainframe which allows for the operation of a private cloud server whilst also processing transactions with the same levels of encryption found in any mainframe system. Allocating tasks to each platform relies on an accurate assessment of the workload of a particular business. Such a nuanced strategic approach requires time and attention, but is ultimately more effective that an "all or nothing" embrace of either cloud or mainframe systems. It demonstrates that the cloud and the mainframe need not be viewed as opposite sides of the same coin, but as different systems that can collaborate through modernization. In the end, both cloud computing and the mainframe are vital for organizations across the globe and neither will completely supersede the other. The world is big enough for both.